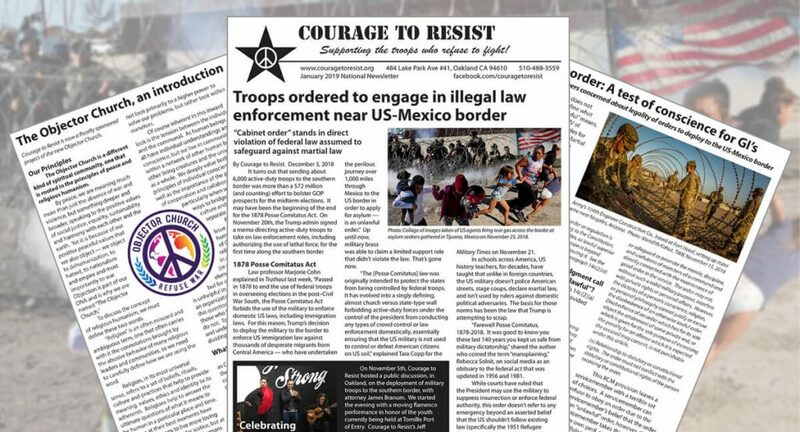 The Courage to Resist January 2019 newsletter is heading out to thousands of mailboxes around the world. If you didn’t get one in the mail, you can still read it below. If you’re having problems with the embedded PDF below, you can view and/or download the PDF directly here.